This week, Girl Scouts is celebrating it’s 99th year! That’s an amazing feat, and we’re just one year away from the centennial of Girl Scouting in the United States. It’s a thrilling time! To celebrate, this entire week leading up to the 99th anniversary on March 12th has been deemed Girl Scout Week. The Girl Scout Shop has a new catalog out full of practical things like uniforms and fun things like teddy bears in adorable GS hoodies! Celebrate in your own way! Make some great scrunchies or bandannas with Girl Scout Fabric! Put together a cool memory book of your troops activities using Girl Scout themed scrapbook materials. Or just get together and sing some songs! 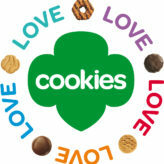 Don’t forget that you have until March 27th to get your cookie fix! For those of us in Northern California, you can use this handy Cookie Finder to see where the closest booth sale to you is. They’ve also got a handy Cookie Locator iPhone app, which I’m happy to report also works on my iPad well enough! Girl Scout Birthday March 12th! Girl Scout Birthday is March 12th, commemorating the day that Girl Scouts founder Juliette Gordon Low officially registered the first 18 girl members. You can have a great birthday party in your meeting that week to celebrate the start of something pretty special for millions of girls for the last 98 years! The Girl Scout store is selling a lot of patches for the event, so be sure to order enough for all the girls in your troop to commemorate your party. My favorite is the Celebrate Girl Scout Week patch. 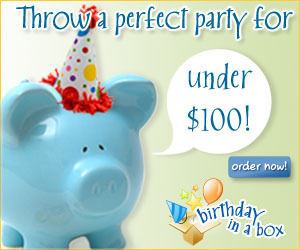 If you want to have a great birthday party for Girl Scouts, Birthday in a Box has great Fairy Party Ultimate Birthday Box that would be great for younger girls. Of course, depending on when you usually have your meetings, you can also tie in a St. Patrick’s Day celebration with a St Patrick’s Day Party Deluxe Box. 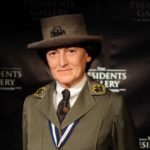 Regardless of what you do, be sure to teach the girls all about Juliette Gordon Low and the beginning of the Girl Scouts. It’s important that we know where we came from, and helping the girls to understand the organization they’re a part of will do just that. There is a fountain of information available on the Girl Scouts website. Happy 97th Birthday Girl Scouts! Wow, it’s hard to believe that the Girl Scouts of America are just 3 years away from celebrating their 100th birthday! Within a few years, Daisy’s dream for a girl-centered organization was realized. Today, Girl Scouts of the USA has a membership of nearly four million girls and adults, a significant growth from its modest beginnings nearly a century ago. In fact, more than 50 million women in the U.S. today are Girl Scout alumnae. We invite you to learn about our robust organization and its rich history. From our willingness to tackle important societal issues, to our commitment to diversity and inclusiveness—Girl Scouts is dedicated to every girl, everywhere. I can’t tell you what Girl Scouts did for me growing up. While not a terrible childhood, it certainly wasn’t picture perfect either. I give Girl Scouts a LOT of credit for giving me the ability to look back on my formitive years and to be able to say they weren’t that bad. All my best memories growing up involved Girl Scouts, whether is was regular troop meetings, outings, council camping trips, or summer camp. Heck, I even spent the Loma Prieta earthquake of 1989 at a Girl Scout meeting! It’s helped me to become the strong woman I am and I can’t thank my leaders and other volunteers enough. I’m sadly not in touch with them anymore, but in the off chance they ever do a Google search for their names… THANK YOU! Shirley Taylor, who was my leader from the time I was in Brownies until the day I graduated high school, was a huge influence and inspiration in my life, and I kick myself all the time for not keeping in better contact after going away to college. While in high school our troop was merged and co-lead by Deborah Kelly and her sister Pam (for the life of me I can’t remember Pam’s last name). They also helped to shape me as a young woman ready to go off into the world and I learned so much from them as well. I can only hope someone finds this and forwards it to them so Thank you so much from Trisha (Floyd) Fawver!